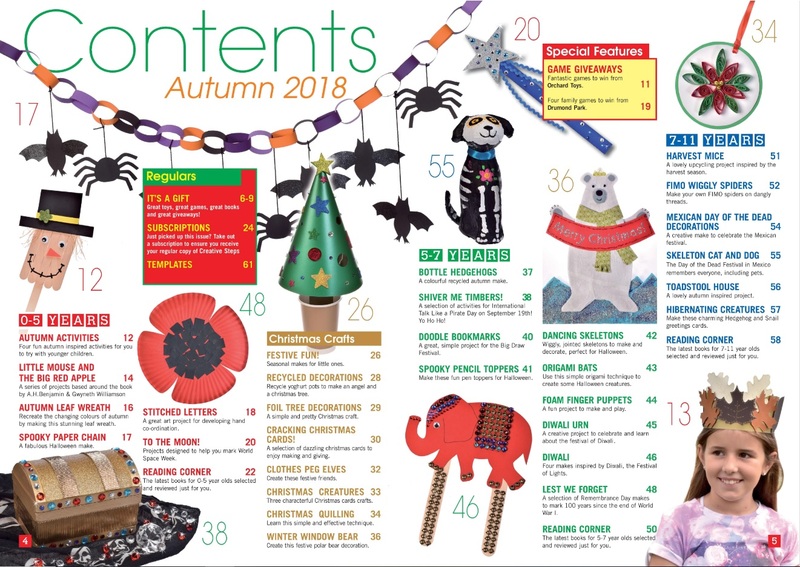 The Autumn 2018 issue is packed with more than 70 fun creative activity ideas, including autumn-inspired makes, spooky Halloween crafts, projects to help introduce Diwali and the Mexican Day of the Dead festival, along with Space Week, the Big Draw, Remembrance Day, hibernating animals and pirates! Plus, we’ve included a 12-page Christmas Crafts Special, with cards, decorations and gifts for your kids to enjoy making. WIN! There are more than £1300 of the latest toys, books & resources for you to win in our free-to enter competitions – including fabulous educational games bundles from Orchard Toys and Drumond Park. See inside this issue for more details and how to enter. 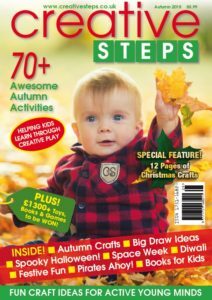 Subscribe today to receive this awesome Autumn issue – in print or online – and look out for copies in Hobbycraft and WHSmiths stores around the UK!